The Stairwell addresses the head, the guts, and the crotch. Even during passages of hyper-glitched digital abuse, the record exudes an absurd tenderness marking it as the product of a living human meant for human senses. Mysterious House employs an astounding creativity. Here, “the stairwell” is not something that goes up and down but something capable of transport in limitless directions. 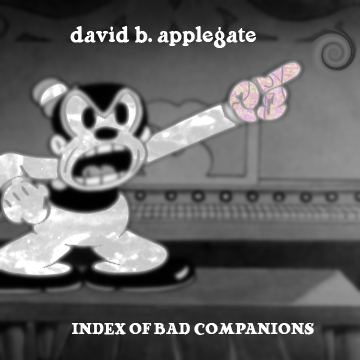 David B. Applegate- Index of bad companions Available Now! Immigrant Breast Nest is extremely proud to announce that its 25th release, David B. Applegate‘s Index of bad companions, is now up in the releases section. 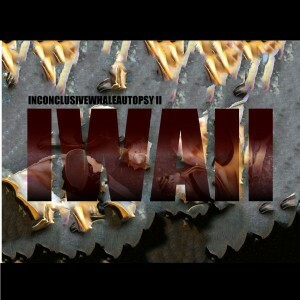 Packed full of damaged waveforms and deranged rhythms slipping on and off the grid, this record is the perfect way to celebrate 25 strong records from I.B.N.